"The Winter chill has finally gone, Spring fever has hit and the beach is calling! 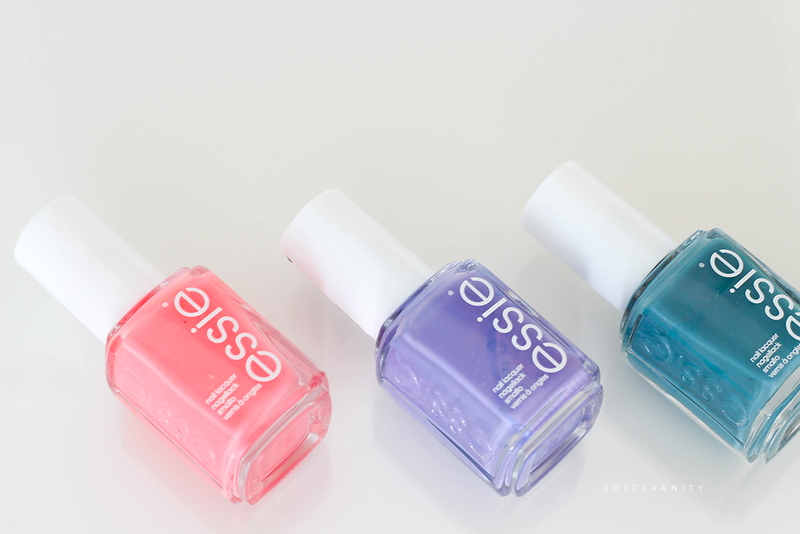 Essie wants to invite you to be in a permanent Sunshine State of Mind with the new essie Spring Collection 2016." Lounge Lover is a bright coral pink. Great colour to break from the darks and neutrals that may of occupied the fingers during A/W it's also a great colour to bring into Summer. I found against my skintone it was quite bright. Shade On is a bright, slightly muted purple another transition season shade, it's warmer than other purples you'd associate with the colder months. It's a colour I feel will be good for all skintones. Poolside Service is a medium, teal blue, a different shade for the month but I can see that it's inspired probably by the rich palm trees and the deep blue sea waters. What colours are you loving lately? Oh they are lovely colours! I love the colour poolside service, thats my favourite. I need to get my nails looking pretty for summer so will go and scout those out! So as somebody who is in love with the southern states, any range that is so Florida-inspired is going to be a hit with me! 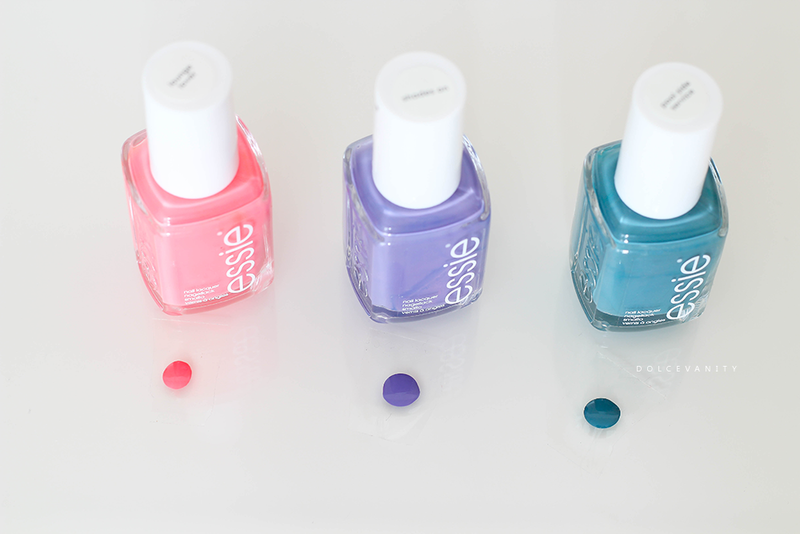 I've always had a soft spot for Essie polishes, I need to get me some of these.